My recent purchase of NEXT is off to a good start after today’s 3rd quarter trading update. For the full year to January 2014, the company now estimates that pre-tax profit will grow between 4.6%-9.4%, up from a previous forecast range of 2.2%-8.6% growth. Online catalogue sales via NEXT Directory increased by 10.7% over the quarter whilst store retail sales remained fairly flat. Basic EPS growth has been lifted to a range of 15%-21% from the previous estimate of 12%-19% growth. Earnings will be enhanced by share buy-backs. They have so far purchased £295m and say they may purchase up to £50m more shares depending on the prevailing price. A further boost to eps will come from lower corporation tax rates this year. Mr. Market seems to like the figures and the share price is up over 4% in morning trading @ £54.25. The company will report on their important Christmas trading figures on 3rd January. 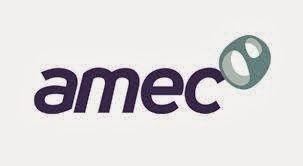 Originally a construction company focused on the UK, AMEC has during the last decade transformed itself into one of the world's leading engineering, project management and consultancy groups. Clients include BP and National Grid , and projects include building oil pipelines, constructing mines and designing power stations. 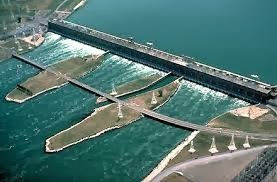 Construction of the Beauharnois Hydroelectric Station, with the largest number of generators of any hydro station in the world. They design, deliver and maintain strategic assets, offering services which extend from environmental and front-end engineering design before the start of a project to decommissioning at the end of an asset’s life. Customers, in both the private and public sector, are among the world’s biggest and best in their fields - BP, Shell, EDF, National Grid and U.S. Navy to name just a few. Amec are truly international, with major operations centers based in the UK and Americas and offices and projects in around 40 countries worldwide. Last year they served up a tasty 20% dividend hike to 36.5p per share following the company's strong cash generation and future growth potential. For the six months to 30th June, the company were trading inline with expectations - earnings per share are up 16% at 40.4p and the interim dividend has been lifted by 15% to 13.5p. They expect earning to exceed 100p over the coming year. In September, Amec walked away from a proposed takeover of FTSE 250 oil services and engineering company Kentz and, in the absence of another acquisition, the board will consider the option of an additional cash return to shareholders before the end of the year. The share price received a boost over the past week on news that the Hinkley Point C nuclear power station would go ahead after a deal with French concern EDF. Deutsche Bank suggested that Amec is line for at least £500m of engineering work and could compete for further business to take that total to more than £1bn. The broker does not expect any material impact in the current year, but it is a boost for sentiment, which, as nuclear accounts for about 15% of Amecs group earnings, is an important part of the investment case. 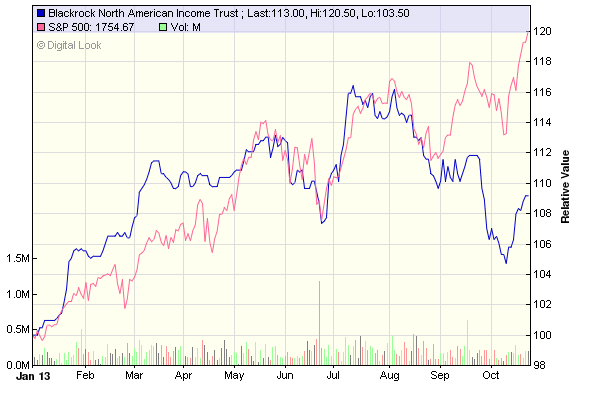 At the current price of 1160p the shares trade on a forward p/e of 12 and yield of 3.2%. Over the past few days I have been taking a closer look at BRNA. Here's my post earlier this year following the half-year results. I do not closely monitor the US markets but I am aware that the Dow Jones has risen from around 13,000 to almost 15,500 this past year - just under 20%. When I looked at BRNA it is up less than 10% over the same period. I fully accept the trust has delivered the 4p dividend as promised so no complaints there - what concerns me is the lack of progress with NAV and share price. Whilst I invest primarily for income, I do not want this to compromise capital appreciation and total return. There may be more explanations for the NAV underperformance when the final results are published for the full year to the end October. It has been a close call but for now I have decided to offload and sold at the price of 112.5p. Having regard to the recent price fall following the uncertainty of Neil Woodfords position, I have recycled the proceeds into a top-up of Edinburgh IT @ 569p. Well, my complimentary review copy of The DIY Investor - (How to take control of your investments and plan for a financially secure future) arrived this week. I spent a wet midweek afternoon curled up on the sofa digesting, cover to cover - its an easy read, well written, clearly laid out and presented and has an unpretentious style. Author, Andy Bell is a DIY investment pioneer. He co-founded A J Bell in 1995 since when it has grown into one of the largest providers of low-cost investment and stockbroker services in the UK. Many DIY investors will already know who he is and may wish to benefit from his experience and expertise. Andy and his business have been recognized with a number of entrepreneurial and business awards over recent years, including winning the Ernst & Young Business Consumer Entrepreneur of the Year 2009. Essentially, the target audience are aspiring new investors who are seeking ways to learn how to take control of their own investments. In the words of the author ‘it is aimed at people who want to invest for their future and then get on with the rest of their lives, not those who want to be part-time or full-time investors’. Having said that, there is plenty of substance for the more experienced investor as well as practical guides - I particularly enjoyed the chapter on building a risk-adjusted portfolio. The basic question to be answered by the reader is ‘Am I a DIY investor’? The first part of the book looks at important areas such as setting investment objectives - short term, medium and longer term such as pension planning for example. It also covers ways to remove emotions from rational investing. Part 2 looks at the products available to the diy investor to try to achieve those objectives e.g. ISAs, Dealing Account and SIPP - the latter in some detail with separate chapters covering what SIPPs can invest in and also taking benefits from a SIPP. Plenty of great content from an industry pioneering leader. 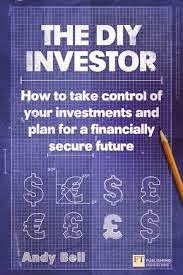 The next part of the book covers the various types of investments - funds, trackers and investment trusts as well as the importance of balancing equities with gilts, corporate bonds, gilts, cash and PIBS. The final few chapters are called putting it all together - developing a good strategy, building a portfolio, looking at risk, as well as various aspects of taxation such as capital gains, inheritance etc. By the end of this book, the reader should know with some degree of certainty whether they are (or are not) a diy investor. Many people would not undertake building their own house or repairing the car’s engine - they would pay a builder or garage mechanic. Yet when it comes to taking some of life’s most important financial decisions such as pensions or long-term investments, more and more people are opting to dispense with a financial adviser and go DIY. Armed with ‘The DIY Investor’, I am sure many more people could get along very well adopting a diy approach. So, if you are thinking of starting out on the road to diy investing, or are already part-way along the road, I can heartily recommend this book and I have added it to my list of books and have included a link to Amazon for those who may want to 'Look Inside' (see tab above). Leave a comment and let others know what you think of the book if you read it. The share price of EDIN fell sharply this afternoon following the announcement that star fund manager Neil Woodford will be leaving Invesco Perpetual next April to start up his own fund management company. At the time of posting, the shares are down around 5% at 572p. The board of Edinburgh issued a statement saying they are reviewing future arrangements and will make a further announcement in due course. The trust is independent of Invesco and it is possible they will be able to negotiate with Woodford for him to stay on as manager. The alternative may be to appoint Mark Barnett who will be taking over from Woodford as manager of the Perpetual Income fund next April. Barnett currently manages Perpetual Inc. & Growth IT which has a decent track record. I had been thinking I would transfer AIM-listed Abbey Protection from my trading a/c to my ISA but, it seems following yesterdays announcement, I will not need to bother. The directors have agreed a sale of the company to US insurer Markel for an agreed price equivalent to 115p per share. This is a 5p discount to the recent market price of 120p. In my experience, it is unusual for the directors to agree a sale of the company for LESS than the current market value so, for me there is probably more to this than is immediately apparent. Chairman Tony Shearer said ' The board believes the acquisition by Markel gives Abbey an exciting opportunity to build a platform for further growth through Markels scale and financial strength'. It appears to be a 'done deal' and there is probably nothing small shareholders can do. I will therefore be looking at possibilities for another purchase or top up when the proceeds are received. 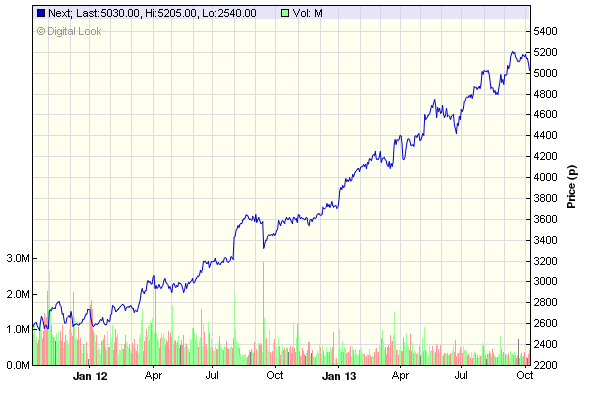 Next (NXT) has been on my watchlist for over 2 years. Like recent acquisition Nichols, I have been patiently awaiting a pull-back in the share price. As can be seen from the chart, there have been very few significant share price falls so I think the time has come to bite the bullet and purchase my usual ‘half’ with a view to topping up at some future date. The retail chain was launched in February 1982 and the first store opened with an exclusive coordinated collection of stylish clothes, shoes and accessories for women. Collections for men, children and the home quickly followed. NEXT clothes are styled by its in-house design team to offer great style, quality and value for money with a contemporary fashion edge. Today NEXT trades from more than 500 stores in the UK and Eire and almost 200 stores in more than 30 countries overseas. Online shopping was introduced in 1999 and the entire book became available to shop from on the internet, page by page – another first in home shopping in the UK. NEXT Directory now also serves customers in around 60 countries outside the UK. The group generate around 70% of sales via stores and 30% online - by way of comparison, M&S online sales are around 7%. 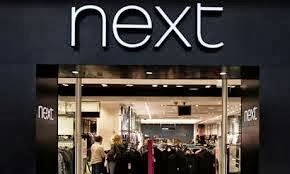 NEXT has made good progress in the first half to July 2013. Sales were 2.2% ahead of last year, driven by a combination of additional retail selling space and increased online sales through the NEXT Directory. The purchase price is £49.45 and I am hoping for a full year dividend of around £1.20 which would give a starting yield of 2.4%. Dividend cover is around 3x adjusted earnings. This is a brief post to flag up a new book "The DIY Investor" by Andy Bell who is CEO of A.J.Bell/Sippdeal. Andy was kind enough to cast an eye over an early draft of my ebook "DIY Pensions" earlier this year and made a few useful suggestions. I have been offered a review copy so will do a further write up at a later date. In a recent article, I outlined how I keep track of dividends. In this second part, I will take a look at ways to keep track of capital performance. Most investors will want to have some idea of how their portfolio is progressing over the year. I try not to get too complicated - I just want an easily maintained method to give me a reasonably accurate figure for my gains or losses from my investments. 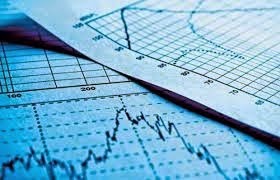 When I make a new purchase of shares or investment trusts, I will make a note of the basics - date of purchase, the purchase price, total cost and number of shares purchased. All of this information is entered into my simple spreadsheet using a separate line for each holding. The column headings are fairly self explanatory. I use simple formulas to calculate the total at the foot of the columns e.g. column E is =SUM(E7:E17). For the percentage calculation in F it is =SUM(E7-D7) /D7*100 (copy and paste for the lines following). This first method is fine so long as your portfolio is fairly well established and you do little trading or regular top ups or top slicing. This is the case with my SIPP portfolio as it is now converted to drawdown. Work out the net additions or withdrawals you made during the year. Add one half of this to the beginning value of your portfolio and deduct half from the end value. Now divide that adjusted end value by your adjusted beginning value. Subtract one from your answer and multiply by 100. So let's say you start the year with a portfolio valued at £10,000, you invest a net £2,000 over the 12 months and by the end of the year your portfolio is valued at £15,000. £15,000 less £1,000 (£14K) divided by £10,000 plus £1,000 (£11K)gives you 1.27. Take one away, multiply by 100 and you get 27%. A final method of keeping track of portfolio gains is unitisation. Many investors will be building a portfolio over time, often many years - either by regular monthly additions or by ad hoc lump sum additions. 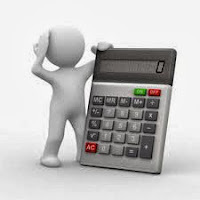 From time to time, capital sums may be withdrawn for various reasons - planned or otherwise. 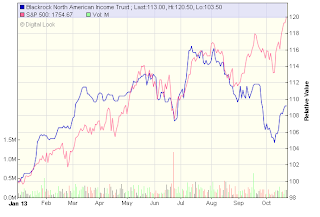 One way to keep track of portfolio performance is to create ‘units’ in the same way as a unit trust fund or OEICs. For example, when purchasing your first investment - shares or collective fund/trust/ETF, convert the total purchase price into, say £1 units (it could just as easily be £5 or £10 units). Lets assume you buy 500 Vodafone shares @ 210p - total cost including dealing costs is £1,065 - you will have 1,065 units. Each time you intend to inject further cash, you will need to ascertain the current value of each unit. Just ahead of the next intended purchase, the value of Vodafone shares has risen to £1,086 so each unit is now worth 102p (£1,086/1,065). The next purchase is, say, 50 Unilever shares @ 2350p - total cost is £1,190. This will create a further 1,166.7 units (£1190/1.02). The total number of units is now 2,231.7 (1,065 + 1,166.7). By the time of the 3rd purchase, the value of the portfolio has risen to £2,300 and each unit will therefore be worth 103p. The next purchase is 60 BHP Billiton @ 1825p - total cost £1,110. This creates a further 1,077.7 units (1,110/1.03). The total number of units has now increased to 3,309.4 (2,231.7 + 1,077.7). Once the portfolio is unitised, it is simple to compare your performance to your chosen benchmark e.g. a FTSE All Share tracker fund/ETF. As ever, slow & steady steps…. 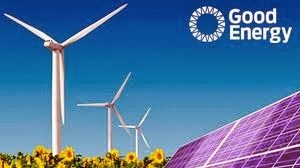 AIM-listed clean electricity provider Good Energy Group are hoping to raise up to £15m via the issue of a four year bond. They will pay 7.25% p.a. payable half-yearly - plus an extra 0.25% for existing customers who hold for 4 years. The bonds will be classed as unsecured debt and also cannot be traded on the secondary markets. The minimum holding is £500 with no upper limit. The money will be used to increase the group’s solar and wind generation capacity, developing 110MW of renewable energy by 2016 – 50% of its customers future electricity. To put this into context 110MW is enough electricity to power up to 25,000 homes for 25 years. I am certainly tempted by the return on this one as well as the satisfaction of supporting a small company trying to provide a greener future. Here's a link to the website for those who would like to look into this in more detail. The offer is open until 13th November 2013.